How to create a self-signed root certificate using "makecert.exe"? I want to issue and sign certificate for others. If you want to create a self-signed root certificate, you can use the "makecert.exe -r" option as shown in this tutorial. 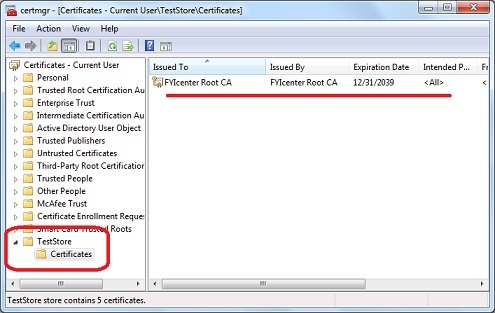 The above command with the "-r" option generated a self-signed certificate that can be used as a root CA certificate to sign other certificates. The private key and certificate are all stored in the system certificate store called "TestStore".